One of my goals since starting to write video game music arrangements has been to try and play at MAGFest (Music And Gaming Festival), which occurs annually in National Harbor, MD. Since The Hard Modes were officially formed last July, that dream has been getting closer to reality--we had a band, we developed a repertoire, and we played our music live for the first time a couple of months later. We had developed a small fanbase over time, garnering over 50 'likes' on Facebook and at least 50 views on each of our videos from our premiere at C'ville Coffee. Even this size a base is amazing to me, but in order to entice the MAGFest staff, I knew that we needed to do more to develop some hype to get ourselves some more exposure. Aside from getting out there and playing more gigs - and doing Facebook Live sessions during those gigs (thanks, Jen!) -, we needed to get recorded and to pair those recordings with some edited video on YouTube. The handheld mic and camcorder recordings of the C'ville Coffee gig were great as a first step, but as these new goals seemed to be the bare minimum that groups need to do nowadays, it was time to take things to the next level. Thankfully, a friend and jazz colleague of mine since college, Brett Jones, had gotten interested in production a couple of years back. He and another local talented multi-instrumentalist, Garen Dorsey, teamed up to bring us to Garen's home and studio in Richmond, VA, to lay down a handful of tracks. Garen's place is super interesting. 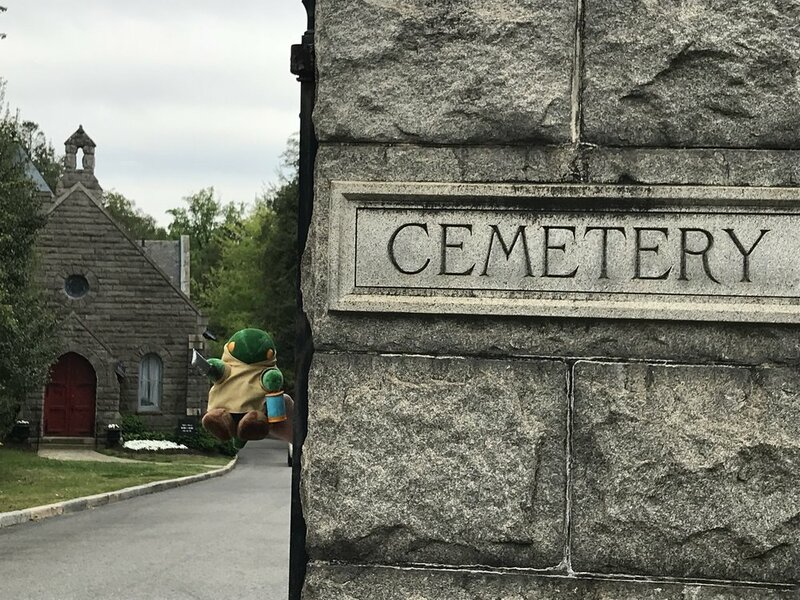 For one, it's half in Hollywood Cemetery, which is a historic graveyard in the city that keeps the remains of some Virginia governors and Supreme Court justices, as well as thousands of Confederate soldiers (read: this place is definitely haunted). That aside, his place looks and feels like a pretty normal apartment that houses a couple of dudes in their early-to-mid-twenties. When we arrived we helped maneuver some stuff around to set up the recording necessities, but as you'll observe in our videos and these pictures, we're just in the middle of a living room, placed next to couches and creeping into a small kitchen. Knowing that this was where the recording was held will allow you to appreciate how incredible a job Garen and Brett did recording us. The audio sounds as if we were in a stand-alone, dedicated studio. It's jaw-dropping, the dissonance between the location and the quality, and that quality can be contributed to Garen's unbelievable work on the mixing. All in all we spent from about 10:30am-4:30pm in Richmond. Most of that time was spent recording, but we did have to set up and take down, plus we broke for a classic lunch of American Chinese food (yes, the smell of the apartment was only apparent once you walked outside and came back in). In that span of time we recorded 5 tunes. We reviewed the forms for each, did a practice take, and then recorded one or two takes depending (for "Corridors" we ended up doing three, the third being the one we used in our video). While "Corridors of Time" is the only video currently out so far, you can also look forward to hearing "Beneath the Mask," "Cosmo Canyon," "I was Born for This," and "Phantom Train" (the cemetery special!). In the month between the recording and the posting of the video, Garen was hard at work mixing and making suggested edits to the mixes while I figured out what to do with the video footage. To record video of the session, I had bought a JOBY GorillaPod and a few RetiCAM tri-pod mounts, which Jen strategically set up in the house. Note to self: next time I'll have to remember to download everyone's videos before we part--getting around to them after the session for the extraction - or having them upload the videos and send them to me - was tedious. Editing-wise, I found a free professional video editing software called Lightworks and spent quite a bit of time learning it on the fly. It's not the most intuitive, but it's powerful and there are plenty of tutorials you can watch online as well as forums to search for specific questions. Definitely beats using iMovie or spending hundreds of dollars on Final Cut or Premiere if you're an amateur. At the time of posting, our video on YouTube has garnered 224 views in 3.5 days, which, for a relatively unknown group, I'm pretty psyched about. Please enjoy! And, I can't stress enough: if you enjoy the video and support what we're doing, please share it with your video game and/or jazz-loving friends! I've got 'til the 31st to get as much hype as possible and submit our stuff to MAGFest. Another video will be released this weekend--looking forward to sharing it with you all! PS: Props go to our trumpeteer, Brandon Walsh, for coining the "Cemetery Session" name! So good.